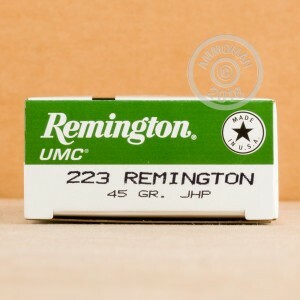 This .223 Remington ammunition works great for varmint hunting and target shooting with your AR-15 or other .223/5.56 NATO rifle thanks to its economical hollow point bullet. 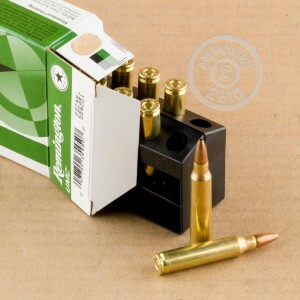 Each cartridges in this box of 20 fires a 45 grain projectile at a muzzle velocity of 3,550 feet per second. This above average muzzle velocity helps produce better terminal ballistics against coyotes, squirrels, and other pests. 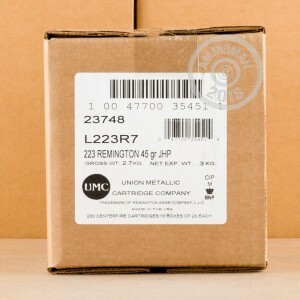 These cartridges are made in Lonoke, Arkansas using non-corrosive Boxer primers and brass cases.